Did you know that 89% of the people in a typical American church congregation don’t have a financial safety net? Shocked? Me too! But there’s HOPE! And that hope this Financial Peace University group. 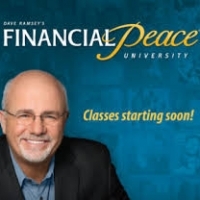 FPU is a nine-lesson course taught by Dave Ramsey and his team of financial experts. With FPU you will learn step by step how to handle money using biblical wisdom and common sense. Through life-changing videos, online tools and resources, and group accountability, you will learn how to create and stick to a budget, save for emergencies, pay off debt, and plan for the future. Just imagine the impact Redemption Rock could have on our community if we were all debt-free! Marriages and families would be strengthened. People would be freed up to be outrageously generous. This kind of hope will ignite change in our entire community! Click Here for more information and to register for the class. Park in the large parking lot and come in through the double doors that face Meeting House Road (Route 137).